Corporate moves are becoming increasingly common in today’s business environment. While the reasons for moves may vary from growth to cost management to a merger or acquisition, all moves share one common fact: your records have to come with you. Moving your records isn’t just a matter of moving them into a box and loading them onto the truck; after all, files are not furniture. As the information support and legal evidence for your business activities, it is critical that these records remain accessible and secure at every stage of the move. Given the diverse nature and size of most records collections, this presents huge challenges. At Systems & Space, we know meeting those challenges requires the strategic application of records management principles and tools to the planning, preparation and execution of the move. We’ve worked with numerous companies to move their files, ranging from small moves (200 files) to large (500,000+). Whether you are relocating to another building, room, or adding a new file storage system, your files will need to be moved. Let our Professional Services Team plan and facilitate your file move for a swift, painless transfer. SSI Professional Services Team can manage your file conversion project while minimizing interruption to your operation. Our turnkey approach to file conversions saves you time and money each time your files are used. Many of our partners tell us the added efficiencies and savings due to file conversions could not have been achieved any other way. Our services include bar coded and color-coded labeling conversions, top-tab to side-tab conversions, and consolidation and merging of multiple record sites into one centralized location. We transfer documents from old, less productive filing methods to new, more efficient filing systems, removing documents from your old folders, and place the materials into your new file folders. We rearrange the contents of your existing file folders and place them in their proper sequence or from horizontal to vertical filing. When file volume increases, it may be come necessary to switch filing systems. Our staff will convert your entire file, using new file folders or they will re-code your existing files. Our highly skilled staff will reallocate your files so that available space permits proper growth of the files… and that such growth is equally spaced. Fresh, high visibility labels replace old labels on your existing folders, or are applied to your new file folders. We can also attach special outside or inside pockets on your folders. Tracking and managing business information is critical to the success of your organization. The challenges of managing paper records and electronic media have made this a monumental task. Systems & Space helps you manage all your records, and brings a new sense of calm to the office. 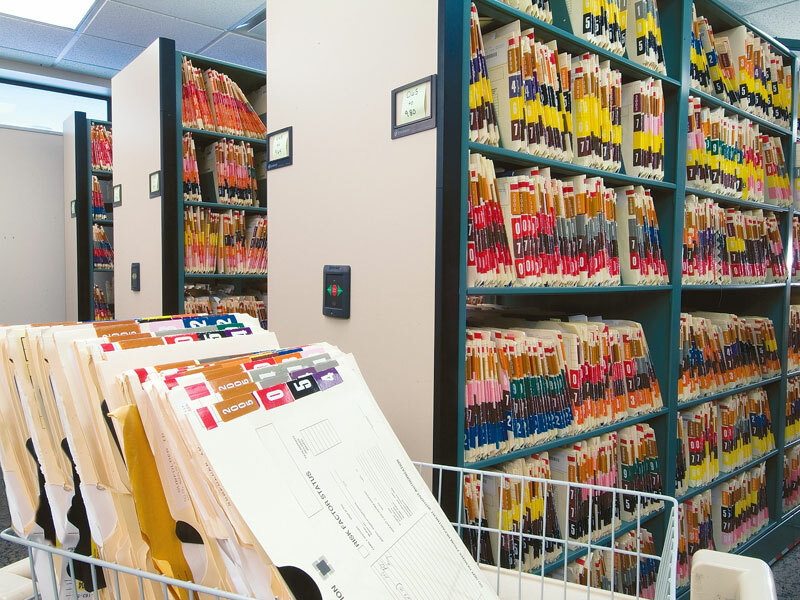 RFID and Bar Code technologies eliminate searches for files and documents, while other tools help apply access and control to records in all formats. Infolinx, developed by Infolinx System Solutions, is a suite of internationally distributed records management software products enabling organizations to implement complete life-cycle management of business data records. Incorporating the latest technologies including barcodes, radio-frequency identification, imaging, electronic document management, and integrated color label printing into our complete product line, Infolinx provides clients unparalleled accountability and access to mission-critical business data. From the rich, client-server Infolinx SE to the true thin-client InfolinxWEB, Infolinx delivers a secure, scalable, and cost-effective records management solution. Whether you print one label per day or thousands, LabelsAnywhere.com is an easy and economical solution to managing your filing systems! With LabelsAnywhere.com, you can print brilliant color-coded labels complete with personalized bar codes and graphics, from any location, so you get the labels you want, when you want them.